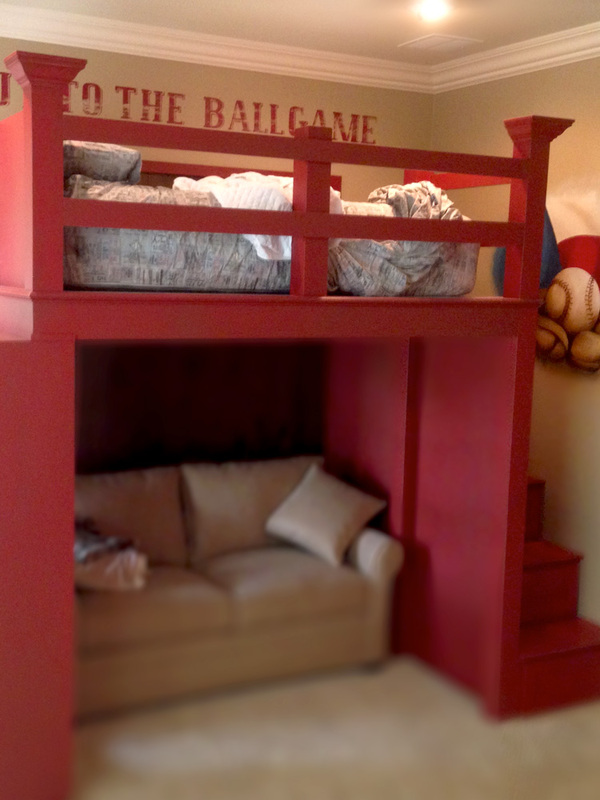 We built a custom Ballpark Loft Bed for a kids bedroom. “We want a bed that looks like a ballpark,” said our client. Hence, we built the Ballpark Loft Bed. 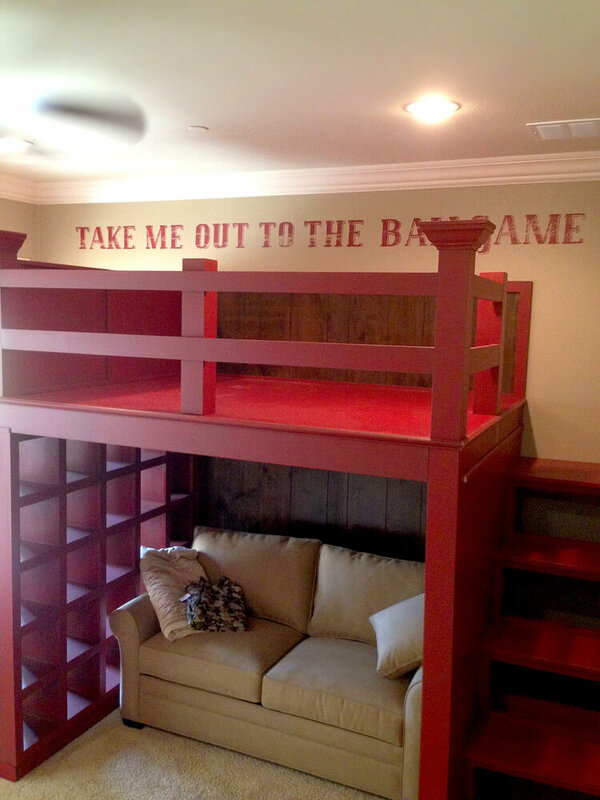 We were contacted to build a custom bed for a children’s bedroom in University Park, Dallas. Requirements for the piece were: storage drawers, space for a love seat below the mattress platform, an integrated cubby hole storage wall, some simple and safe stairs, plus the ability for natural light to enter under the loft from the nearby window. How we did it: the Loft Bed’s drawers are built into the staircase; the open cubby holes serve not only as storage, but also as a conduit for the natural light from the adjacent window, and a structural support for that end of the bed; add molded columns, rails and a mattress, and there you have it…the Ballpark Loft Bed! 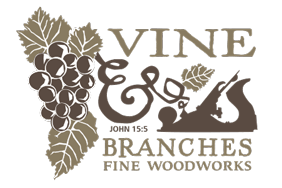 We are here to translate your ideas into reality for any room in your home. Won’t you contact us today and we’ll talk about building your needs and ideas.